I’ve been reading comics for quite a while now, since I was maybe 10 or so. Pushing 30 years of off and on following the story lines. 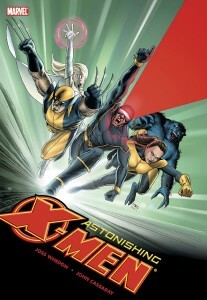 My favorite, overall, has been the X-Men. 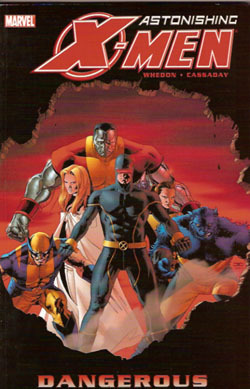 I started with them around issue 150, with the first Brood storyline. It was when Claremont was writing and Cockrum was drawing. I don’t know if it was the general tone of them being a group of outcasts — which, at the time, was somewhat novel — or what exactly, but the resonated with me. 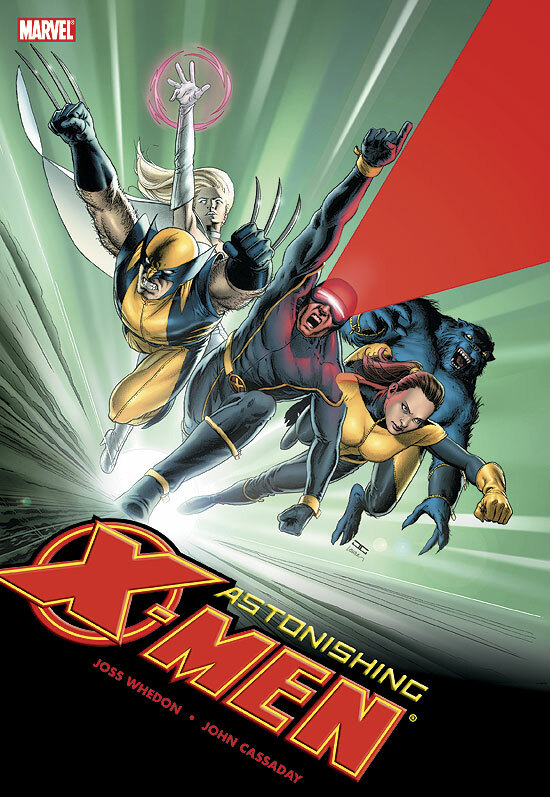 The stories since then haven’t always been the best and I’ve stopped reading over periods of time, but I’ve at least checked the review sites and spoiler sites to keep abreast of the story lines (which is pretty damn hard these days, with as much saturation the X-Men have right now). So, I was pretty excited to hear that Josh Whedon and John Cassaday were going to do an arc. Whedon is best known for creating Buffy the Vampire Slayer and Cassaday has a reputation for very realistic and very amazing art. They had a 25 issue run, including a special giant sized issue, and I just finished got and finished the last trade paperback collecting the final issues. All I have to say is that it was a truly astonishing ride. First, they brought back one of my personal favorite X-Men, Colossus. I’ve always thought he had one of the coolest looks. He was killed off trying to find a cure for his sister, I believe (though that was during one of the periods where I drifted away from the books). So, he has been gone for a while. I personally don’t mind that they brought him back. Some people get upset at these things, but I think, as long as the story is good, that is all that matters. I also, incidentally, like that Whedon and Cassaday came on for one very specific arc, told their story, and then finished. While I like the continuity and history comics universes have, I also think there should be more freedom to tell stand alone stories that may or may not be part of continuity. Just so long that the story is good. Warning, Very Big Spoiler Does Follow! Kitty Pryde joined the team just shortly before I started reading X-Men those 30 years ago. She was a young kid, having just discovered her powers. Besides the ability to walk through walls, she was also a genius. She personified in a character a lot of what the readers of the book were probably like. While I’m not one of those fanboys who think she is the ideal woman or something, she was one of my favorite characters, and one that has probably grown and evolved the most during the last 30 years (it is really remarkable, in the end, how little some characters change). At the end of this arc, Kitty saves the world, but is unable to save herself. She is last seen hurtling through space in a gigantic bullet (yeah, that sounds weird, and maybe is weird, but that is what happens). She is never actually seen as dead, but I can’t see how they will get around this one. She is stuck in this bullet traveling at very fast speeds through space. She has to eat (unless I missed some special aspect of her powers) and so will starve soon. Even then, her body will be light-years from Earth. I’m sure she will come back, they all do (even Bucky did!) but this one will be hard to do in a “believable” manner. The story itself harkens a bit to that original Brood storyline in that the X-Men have to deal with a hostile alien race in deep space. They often do that. 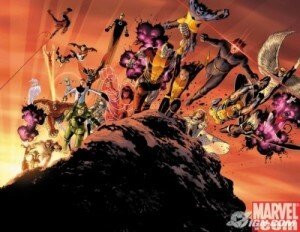 It is one of the cool aspects of the X-Men. They are a very Earthy team, embodying a lot of the politics of the 60s in their concept (with civil rights, racism, etc), but they also have these star-spanning adventures that completely remove them from that political setting. I’m not sure that this story is necessarily my favorite, or near the top, but it is very good. And the art is just amazing. The only thing I found a bit annoying was some of the dialog near the end, with all the “darlings” etc. It just seemed a bit out of character. Anyways, I’m going to have to go back and reread the entire arc in one sitting and catch some of the details I’m sure I missed, and put the whole thing together in one go (reading a 25 issue arc over pushing three years means you forget a lot). Whedon and Cassaday do the franchise proud and tell an exciting and entertaining story. That is all I can ask and hope for.